Herbs mixed with butter are a wonderful addition to vegetables, seafoods and meats. I love to make up several and freeze them. They keep good for around three months frozen. Combine butter, garlic, red pepper, and process in food processor until smooth. Season with salt and pepper, stir in parsley. Set aside until ready to use. Put in food processor, spread on chicken, steak or fish or on vegetables. Great on broccoli and corn on the cob. Mix all ingredients together. Spread over Pita Bread or Ciabatta Bread and broil till brown and bubbly. Cut the pepper in half and grill, turning regularly, until the skin is blackened. Remove from the heat and wrap in foil for 10 to 15 minutes; this helps to loosen skin. Remove the pepper from the foil and peel, remove the stalk and seeds and slice thinly. Place the pepper in the bowl of a food processor with the lemon juice and a pinch of salt and process to paste. Add the butter and remaining seasonings and mix thoroughly. For a smooth paste, blend in a little olive oil, a tsp. at a time, until the ingredients hold together. Simply spread on fresh crusty bread or as a garnish for grilled fish, meat, or vegetables. In a small mixing bowl stir together nuts, butter, and honey. If not serving immediately, cover and chill. Bring to room temperature before serving. Delicious with white fish, asparagus, carrots or peas and grilled chicken. Combine all ingredients in a mixing bowl and mix well. Place prepared butter in a small bowl and refrigerate for up to 3 days or freeze. Great when making foccacia, breads or any vegetable. Let butter soften at room temp in small mixing bowl. Add all other ingredients. Use fork to mash butter and thoroughly mix. Spread garlic butter liberally on sliced bread, pizza, bagels, even englis muffins, add mozzarella cheese . Put in toaster broil 1-2 minutes until lightly browned. In a small bowl, beat honey and almond paste with an electric mixer. Beat in butter until creamy. Spread on grilled chicken, tilapia, pancakes, breads, bagels and great on cakes. Preheat grill to medium. Peel back the husks of the corn without removing them. ( I took them out of their husks to show the picture of the corn) Remove the silks and recover the corn with the husk. Soak in large bowl of cold water for 30 minutes. 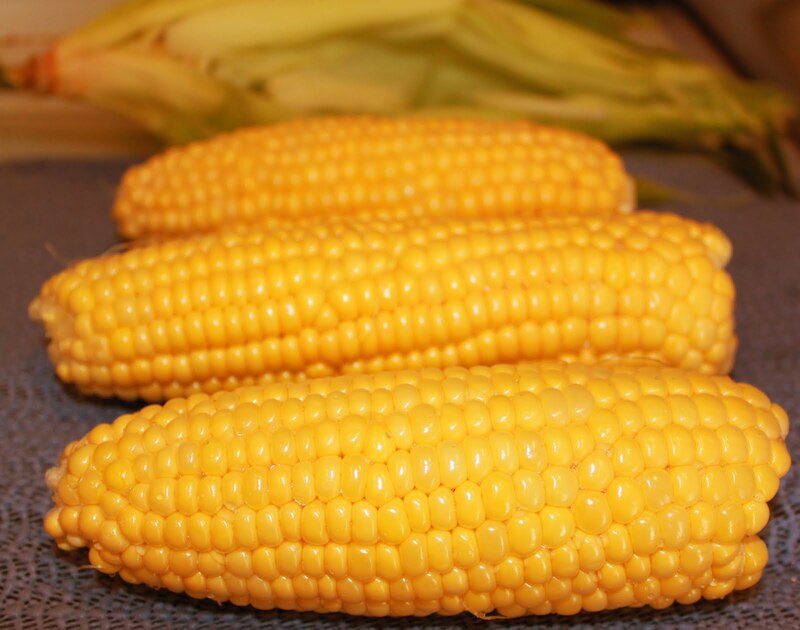 Remove corn from water and shake off excess. Place the corn on the grill, close the cover and grill for 15 to 20 minutes. Unwrap corn and brush with the parsley garlic butter. Hmm I love flavored butters, it makes such a difference in a dish! Great recipe Claudia! Great selection of compound butters. Using a compound butter really takes a dish to another level. Intrigued by the pizza butter, as I am a pizza addict. Cheers! Hey Claudia, this is a great post. Strange too, as I have real butter in the fridge (organic too. This is rare for me, and I was thinking I should make herb butter. I'm going to use one of these recipes. Terrific compound butters, I definitely need to give the pizza butter a try! You certainly made great use of butter! 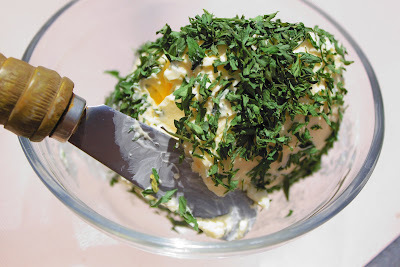 I remember as a youth...Mom always had the garlic parsley butter slathered on amazing crusty bread. Great list! I love herb butters, but never thought of cheddar butter or pizza butter. This is awesome! great recipes for flavored butters,claudia!thanks! Great blog post! So many different flavored butters, I don't know where to start. They all sound delicious! What a long & special list of home made tasty butters! So many mouth-watering butters! Love the pizza butter! I love using compund butters, especially in the summer months when so much cooking is done out on the grill. Nice job with this post! What a post! So many great recipes in one. Tough choice. Its' versatile, very good idea! They all sound good, but pizza butter may be the one to try!